The Bible Society in Israel continues the ancient heritage of preserving the eternal Word of God by publishing and distributing the Bible including the New Testament, as well as outreach and study materials in Hebrew and other languages. HaChotam encourages believers to study the scriptures, to know God and to live their lives according to His word by publishing theologically based magazines, books, music CDs etc. K.A.M. is producing and distributing books for evangelization, discipling as well as to facilitate spiritual growth. Main publishing language is Hebrew, but also Russian and some contemporary books on Israel and the Messiah in English. 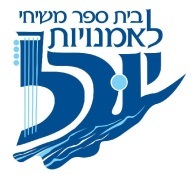 Maoz Israel Ministries, a Messianic Jewish ministry in Israel, is a catalyst & vehicle for outreach, training, translating, publishing, music recording, video production, economic and disaster relief, and established and underwrites a Hebrew indigenous Messianic Jewish congregation in Tel Aviv. Medallion is creating and publishing educational Messianic Literature for teaching the children and youth in the body of Messiah in Israel. Jews for Jesus is a ministry organization with the stated purpose of making “the Messiahship of Jesus an unavoidable issue to our Jewish people.” Jews for Jesus uses unique methods in reaching the Jewish population, such as a gospel tract with humorous quips and eye-catching graphics, music and street theater etc. The organization gears up for local city campaigns with targeted broadsides and other media outreach. 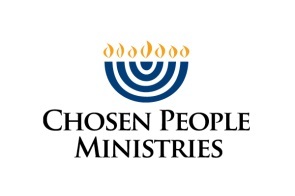 Chosen People Ministries serves in sixteen countries across the globe. 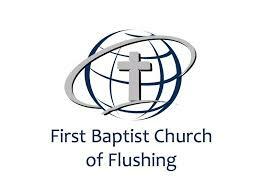 Outreach programs include evangelism and discipleship, Messianic Centers and congregations, equipping the local church for Jewish evangelism, print and web publications, and benevolence work. Site contents explain to a Jewish person how the Jewish Messiah is seen in Isaiah 53 and answers many other questions concerning the faith in Yeshua. LCJE is the only global networking in which people involved in the field of Jewish evangelism come together and share information and resources, study and report on current trends, stimulate one another’s thinking on theological and missiological issues, Strategize on a global level so that more Jewish people will hear and consider the Good News of Jesus the Messiah and arrange consultations that will be useful to those engaged in Jewish evangelism. Life in Messiah is has helping Christians to understand the Jewish roots of the faith and God’s ongoing commitment to His people and to share the gospel message with the Jewish people. Today Life in Messiah has a ministry to Jewish people in Israel, France, The Netherlands, Canada, Argentina, Mexico and the United States. 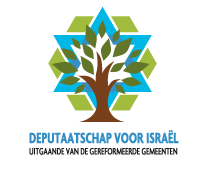 Isaac Da Costa Fund is a Dutch organization that supports the development of the reformed approach of the faith among Jewish believers in Israel and its significant project in the land is a construction of the Christian community center in the southern part of Israel. In addition, the organization provides information in the Dutch language about Israel, the Jewish people, and the Messianic Jews. Board for Israel is a Dutch organization involved in Jewish ministries in cooperation with local Israeli Reformed congregations, and also with HaGefen Publishing supporting translation and publishing of reformed books. Additionally, Board for Israeli is providing reformed study courses for equipping leaders in Ukraine and supports a soup-kitchen in Judeo-Christian congregation in Zhytomir. The awakening of love for Israel and condemnation of anti-Semitism in the Netherlands is also an important part of their work. Foundation of support for Messianic Jews is a Dutch organization involved in supporting local messianic Israeli organizations and activating projects in the land, such as clothes distributions and soup kitchen. 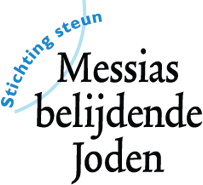 Evangelistic Ministries to Israel is a German organization that supports the establishment of Jewish Messianic congregations in Israel, Germany, and Europe. They assist Jews who believe in Jesus to bring the gospel to their own people and to all nations. This includes the production and distribution of Bibles and religious literature in Hebrew, Russian and German. CMI desires to bring the gospel message of saving grace to the Jewish people by supporting projects in the area of book publishing. The goal of HeartCry ministry is to facilitate the advancement of indigenous missionaries throughout the world. Our strategy consists of four primary components: financial support, theological training, Scripture and literature distribution, and the supply of any tool necessary to facilitate the completion of the Great Commission. The purpose of Grace to You is to teach biblical truth with clarity, taking advantage of various means of mass communications to expand the sphere of John MacArthur’s teaching ministry. PATMOS FOUNDATION is an aid mission with the motto of so-called “two-handed Gospel” – which means, on one hand, providing people’s temporal needs, such as food and clothing and on the other hand, meeting their spiritual need of a gospel. Currently, PATMOS reaches out to people in 24 countries on four continents. 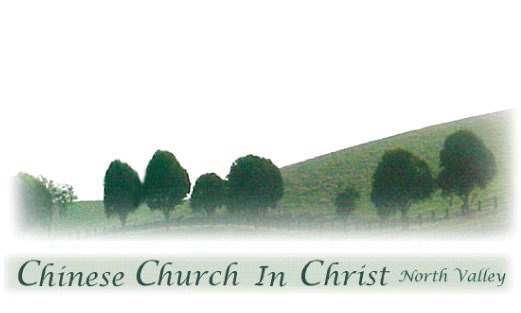 Arche is a Reformed Free Church, the center of faith of which is the Gospel, the good news of Jesus Christ, the Son of God. He took the sin of the people upon Himself and died vicariously on the cross so that all who believe in Him may receive forgiveness, acceptance from God and eternal life. 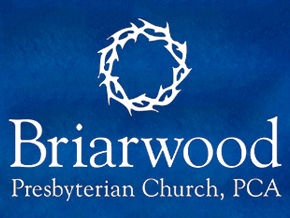 Briarwood is committed to being a Great Commission Church because disciple-making is the charter of the church given by Christ to be pursued until He returns. Caspari Center is a network of people: Jews and Gentiles throughout the world working together to raise awareness of Jewish believers in Jesus and support the growth of Israel’s congregations. Our passion is to support emerging leaders who will transform Israel by developing and leading mature, confident and visionary Messianic communities. ICB is a Messianic educational institution that exists to equip and develop leaders in Messiah’s service and to provide a unique understanding of the Jewish roots of Messianic faith. The emphasis and the majority of the programs are focused on training Israelis, but they also offer “The Year in Israel” Program for international students. ONE FOR ISRAEL reaches out to Israelis with the Gospel message through technology and a team of trained Israeli believers, the gospel message is being broadcast throughout Israel from the media center, using websites, radio station, videos and social networking. The other main goal is to train up the next generation of leaders in the Messianic body in Israel. The Israel Colledge of Bible has a qualified and equipped staff team for training Israeli believers (both Jewish and Arabs) in theology, Biblical studies, and counseling. 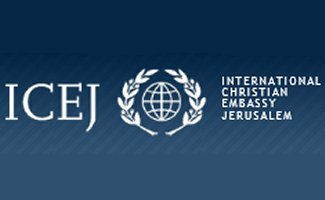 The International Christian Embassy Jerusalem was established in 1980 in recognition of the biblical significance of all of Jerusalem, and its unique connection with the Jewish people of Israel. Today it represents millions of Christians, churches, and denominations to the nation and people. ICEJ recognizes in the restoration of the State of Israel God’s faithfulness to keep His ancient covenant with the Jewish people. FIRM is a global fellowship of Biblically-grounded believers committed to cultivating Messiah-centered relationships that bless the inhabitants of Israel—Jews, Arabs, and others—and the Jewish community around the world. FIRM believeד that standing with Israel is more than a political statement — it goes far deeper than that. Standing with Israel is a spiritual attitude. The connection with the Jewish people has been marred by many tragic events in history. The church has much repenting and repair work to do. House of Light is an Arab Christian ministry which provides spiritual and social aid. Every week they hold Bible studies, worship gatherings, and King’s Kids meetings. Besides these regular events, House of Light also ministers to prisoners and current and former drug addicts, hosts counseling sessions, and cares for individuals in need. On a monthly basis, House of Light distributes food and sometimes clothing to needy families. The House of Light has both initiated and participated in meetings that aim to unite Arab Christians and Messianic Jews. 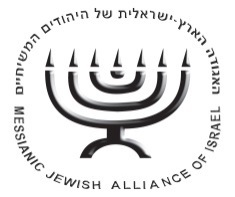 The main purpose of the Messianic Jewish Alliance of Israel is to serve the believers in Messiah Yeshua and the Messianic congregations in Israel. Among their projects are GMN/ZKN Network, “Hadadit” Fund, messianic music concerts, messianic plays/musicals and music conferences. Be’ad Chaim (Pro-Life) is an organization dedicated to the protection of mothers and unborn children. It is a national organization with offices and Hotlines throughout Israel. The goal of the organization is to show women, and men, an alternative to abortion so that they will choose life. The ultimate goal is to end abortion-on-demand in Israel. To see young men and women coming to the saving knowledge of Yeshua the Messiah, that they may know His love, become like Him and that they may serve Him. To equip, strengthen and support the maturing of the Messianic/Christian community in Israel to the full stature of Messiah Yeshua in issues of family life, youth work & soldiers ministries. To provide various activities such as National youth conferences, Regional youth events, Hiking and camping trips. Seminars and teaching events for youth leaders and congregation leaders Providing relevant conferences for soldiers in the IDF. Yuval is a messianic school of arts in Israel and its goal is to qualify a generation of believers who will use the gifts that God gave them in order to build God’s kingdom and the body of Yeshua in the land of Israel – children, teenagers and adults alike. Israel’s first Messianic day school. Makor Hatikvah’s mission is to provide an alternative source of education for the children of Israeli Messianic Jewish families as well as temporary or long-term believing families who desire that their children become an integral part of Israel’s society during their stay in the Land; to provide them with an excellent Hebrew education to encourage a personal walk with Yeshua. The Jerusalem Institute of Justice (JIJ) strives to strengthen the democratic integrity of Israeli society, advocate tirelessly within Israel for religious minorities, migrant workers, human trafficking victims, Holocaust survivors, and impoverished children from marginalized sectors of our society. Also JIJ advocates on behalf of Israel in the international community. The vision of the Israel Business Forum is to help the Body of Messiah in Israel flourish and prosper, fulfilling its mandate to disciple Israeli society and the nations through God-honoring professionals, thriving “kingdom businesses” and economic transformation. HaGefen is not responsible for, nor does it endorse, the editorial content of the Web sites listed here. These sites are brought to you as a service and are helpful to learn more about Israel and to keep updated on the news in Israel in real-time.